Frontpoint is a DIY home security monitoring service. Less expensive than full-service options like ADT or Vivint, Frontpoint offers homeowners a more affordable way to secure their property. If you don’t mind doing the equipment installation yourself, Frontpoint can be an excellent choice, boasting free trials, advanced technology, and a wide range of sensors to customize your packages. This plan runs at $34.99/month and includes freeze, flood, fire, medical, and intrusion monitoring at all times. This plan costs $44.99/month and adds more interactive devices such as image sensors, crash and smash protection (detecting when burglars attempt to destroy the security equipment), mobile alerts, light controls, geolocation services, and remote mobile controls. Finally, the Ultimate package goes for $49.99/month, providing thermostat controls, live video streaming, energy management, and remote door locking. Equipment packages also run in three different sizes: Secure $99, Secure Plus $149, and Professional $449. Customers can customize the equipment packages that are available to suit their homes and needs. Frontpoint offers one or three-year contracts, and prices for the equipment package vary depending on which contract you sign up for. For example, the basic Secure equipment package costs $99 for a three-year contract but goes up to $347 for a one-year contract. Frontpoint has several hardware sensors on offer including front and garage door sensors, window sensors, smoke and heat detectors, glass break sensors, motion detectors, CO2 detectors, water and flood sensors, light sensors, thermostat controls, and wireless cameras for indoor and outdoor usage. Frontpoint’s alert system sends messages to your phone whenever an event is triggered (alarm triggered, the system turned on or off, etc.) and will dispatch a local police officer, depending on the threat level. The control panels and monitoring center communicate via a cellular channel, for an uncuttable connection. 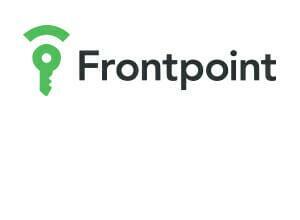 You can interact with your Frontpoint system via its computer or mobile applications, for both Android and iOS. These allow you to turn your alarm system on or off, control lights, or watch your home via the internal cameras. The mobile app is included with the Interactive and Ultimate plans only. Rules can be set via the web portal too, including convenient alert notifications for the front door being left open for too long, to turn on lights at a specific time, or start the video recording on a schedule. Geo-border trigger that sends you a reminder to activate your alarm system after you’ve crossed that designated border (for example, out of the driveway). 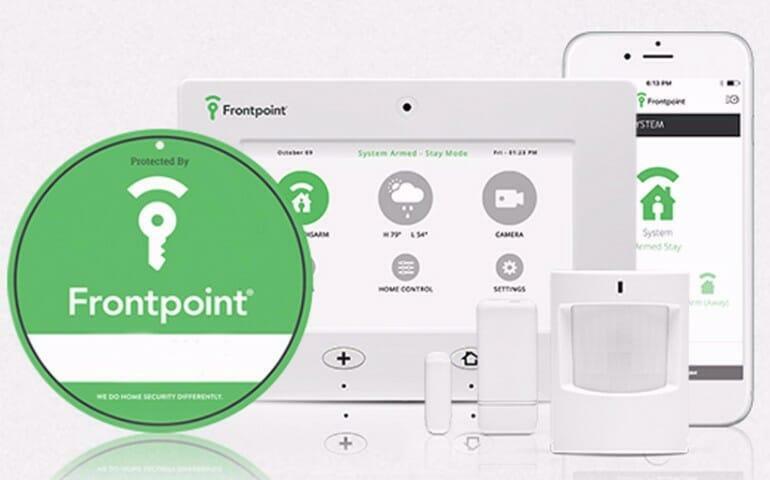 The systems are configured in the warehouse, and since Frontpoint is a DIY system, you can follow the simple online setup guide and secure your home in half an hour. And because these systems are wireless, you can move your Frontpoint to any location, a new home, or out to the office if needed. Frontpoint has a 30-day satisfaction guarantee, and all packages come with a three-year warranty on all parts. The customer support center is available by phone to answer your questions and help you out. You can also schedule a call by filling out an online form. Frontpoint is a viable option for homeowners who don’t need a technician to come and plug their systems in for them. The upfront costs are a bit expensive, and additional parts are pricey when compared to the competition. Frontpoint does offer a solid service, quality equipment, and state of the art technology though, so this is a good mid-range service that’s reliable and easy to work with.